A commonly used diagnostic test for diabetes is called the two-hour oral glucose tolerance test (OGTT). After eight hours of fasting, a blood sample is drawn and tested for blood sugar levels. Then the patient quickly drinks a high-sugar drink (within five minutes). A blood sample is drawn after two hours, and if the sugar level is abnormally high (particularly, when their fasting blood sugar level was normal), the patient is diagnosed with diabetes because there was not enough insulin in the blood to adequately transport sugar from the blood into the cells of the body. Specifically, diabetes is diagnosed if either the fasting blood sugar is ≥126 mg/dL (7.0 mmol/L) or the two-hour blood sugar is ≥200 mg/dL (11.1 mmol/L). It is important to keep in mind that blood sugar levels can fluctuate not only due to what the patient eats or drinks, but also by exercise habits, illness and the emotions of the patient just before taking the test. The HbA1c level is the second blood test used in the diagnosis of diabetes (see table below). The American Diabetes Association (ADA) defined values above 6.5 percent to be diagnostic of diabetes. However, diabetes may still be present with normal HbA1c values. Hemoglobin is the protein found in the red blood cells that carry oxygen to various parts of the body. The hemoglobin molecule has a secondary property that is used to monitor long-term sugar levels. If the blood sugar level is high, sugar attaches to the hemoglobin and remains there for the life of the red blood cell (approximately three months). The HbA1c test reflects how often the blood sugars have been high over the past three months. Approximately half of the HbA1c value reflects sugar levels for the past month, and the other half reflects sugar levels during the second and third months prior to the value being obtained. The HbA1c value can be attained with a simple finger-stick test, and the result is not altered by anything the person experiences on the day the test is administered. For example, the patient does not need to fast before taking the test and the value does not change based on exercise, illness or emotions. The tests for blood sugar level and HbA1c are used to diagnose both Type 1 and Type 2 diabetes. Therefore, other tests are needed to distinguish between the two types, such as the islet cell antibody (ICA) test. Islet cell antibodies are only found in those with Type 1 diabetes (not Type 2). In this test, the patient’s blood is tested for islet cell antibodies. Islet cells are cells in the pancreas that make insulin. 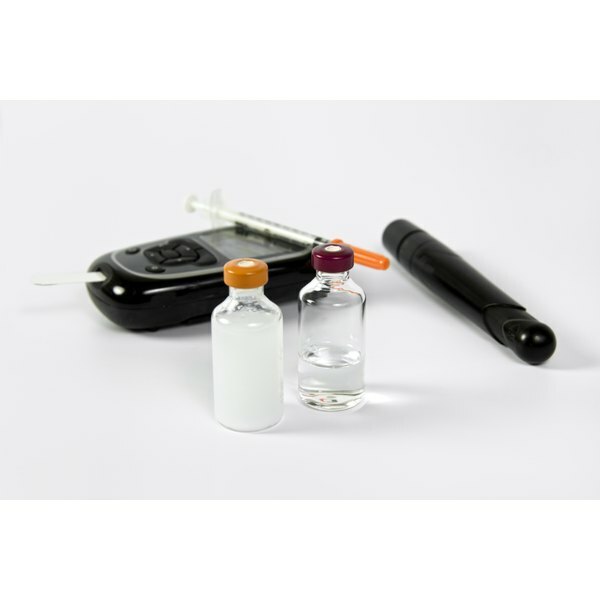 If they are damaged, insulin is not adequately produced and diabetes ensues. This damage to the islet cells is caused by a self-allergy or autoimmune response in which the immune system turns against its own body and creates antibodies that specifically damage these islet cells. These antibodies may be present in the blood for many years prior to the diagnosis of diabetes, therefore if they are detected early, prevention measures can be taken to lessen diabetes symptoms later in life. Dr. Chase was appointed the first Director of the University of Colorado Pediatric Diabetes Clinic in 1976. He has been the Executive, Clinical and Pediatric Clinic Director of the Barbara Davis Center. His work has resulted in over 300 peer-reviewed publications, 76 book chapters and five diabetes educational books about type 1 diabetes. How Much Sugar and Protein Do People With Diabetes Need Daily? What is a High Blood Sugar Level Range?